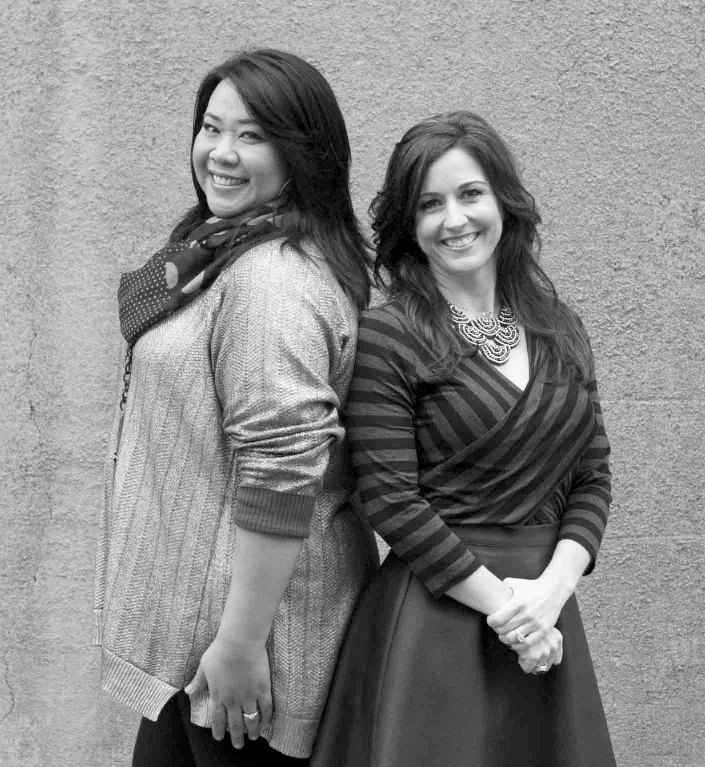 From left to right: Rixie McKool, account executive, and Amber George, managing director, Boundless, Austin, Texas. If the buzz over at WebMD is any indication, the uncharacteristically mild cold and flu season should be peaking at press time. But while nasal congestion and body aches may be on everyone’s minds right now, those concerns will soon taper off. The good news? Selling opportunities in the medical sector are year-round. Just ask Amber George, managing director for Boundless, Austin, Texas. As George explained, the ultimate goal is to create a conversation starter that not only promotes brand awareness for the client, but also uses its core values and customer service offerings as focal points when physicians discuss home health options with their patients. George and McKool welcome the challenge and continue to create “conversation starters” for the client’s sales representatives every time. Here, George shares the thought process behind the latest campaign. Describe a promotion of yours that you consider one of your best. Amber George: Our promotions typically mirror the client’s monthly themes such as: dehydration awareness, fall prevention, bone and joint health, memory care, etc. The product we source ties into the theme and we pair it with an oversized printed postcard with messaging that communicates the value of a particular service our client provides. Our client’s reps and the targeted referral sources have grown to love these monthly visits and the themed promotional items they receive. It is always a fun challenge to come up with new items year-over-year. This year, we created what I consider to be one of our best marketing campaigns to date: our “Perfect Pair” campaign. We produced custom-themed socks on a bi-monthly basis for the client’s reps to give to the staff at the physicians’ offices they visited regularly. In a typical physician’s office, the staff wears scrubs. What better way to “enhance” their everyday uniform than with a fun pair of custom socks? It was such a hit with the staff that it ended up being a social media sensation. The staff members at the various offices were so thrilled with their gift[s] that they submitted pictures of their teams wearing the socks at work to post on social media. It was a fun and memorable promotion that garnered attention even outside of the client’s referral sources, allowing them to communicate why they are the perfect partner to “pair” with to provide top-notch home health services to patients. What influenced the decision to include socks? AG: Leveraging qualitative data from focus groups and previous knowledge of the client’s audience, socks became the obvious choice for a fun, unique and useful promotion at a great price point. Oftentimes, staff in a doctor’s office doesn’t have much variation options when it comes to scrubs. In essence, they wear a pretty standard uniform to work every day. What you often see is nurses or doctors trying to spice up their uniform and have a little more fun with their outfits. We did not predict the amazing response from the recipients, leading to the host of photos that were shared on social media, but, in the end, that really is the ultimate goal—that a group of people love their gifts so much, they want to share it with the world. This creates a stronger relationship between the client and their target audience, and also grows the circle of influence out from just one group—inside the walls of one doctor’s office—to the general public. This grew awareness for our client on a whole new level. How was this a profitable promotion for your company? For your client? AG: Our client contact (the vice president of marketing) received a great response from her constituents, and the campaign grew the number of referrals from these valuable sources. In the end, we not only helped our client achieve its business goals, we also drove invaluable connections with its audience, making the company stand out from its competitors. And that is what this business is all about. A successful promotion like this one is sure to increase loyalty with a client. When we help them achieve their initiatives, it further establishes Boundless as a valuable resource and an extension of their team, not a commodity product provider. Did you encounter any challenges with this particular promotion? If so, how did you overcome them? AG: Collecting and distributing orders to almost 200 branch locations can prove challenging. Luckily, we were able to use Boundless’ patented technology, GroupBuy™, to consolidate orders from the various buyers within our client’s organization. With a few simple clicks, the buyers were able to order the exact amount they needed and our client was not stuck with guessing the approximate quantity to order resulting in too much or not enough inventory. Boundless uses a custom-developed CRM platform to manage the distribution process, making the logistics for shipping the right number of products to the correct branch location seamless for the client and the manufacturer. The biggest challenge we had was the repeat-order requests we received after the products delivered. However, we worked with the manufacturer to accommodate these requests and make the client happy. Do you have any advice for your peers attempting a similar promotion in the medical market? AG: In any market, clients are looking for unique ways to stay relevant. Determining the right product to communicate the client’s brand and their value can be a challenge. Sometimes, it is as simple as a pair of socks. By leveraging the simple, yet compelling, “perfect pair” message, we added purpose to the product and created buzz for their brand.